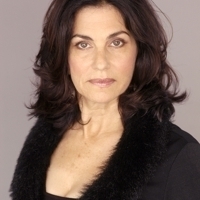 Ellyn Stern is a clasically trained actress who has lent her voice to numerous anime characters such as Haraway in Ghost in the Shell 2-Innocence, Ichigo’s mother, Masaki Kurosaki, in Bleach. With a career spanning from film and television to the stage, Ellyn has performed as hundreds of characters, starting in anime with the original Robotech series. Most recently she can be heard as Dorothy in True Crimes, Hong Kong, and is a series regular on Mobile Suit Gundam Unicorn, playing Martha. You may have also heard her on Shadow Hearts II as Veronica Vera, or as any of numerous other characters in Bushido Blade 2, Lupin the III, Fighting Spirit, Bobobo-bo Bo-bobo, etc.